What is Revitalise and who is it for? 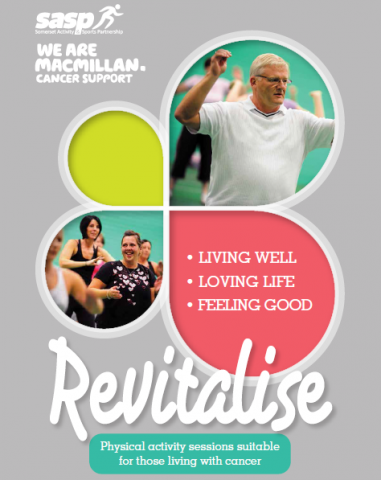 Revitalise promotes Somerset based physical activity sessions which are delivered by qualified staff making them particularly suitable for those living with cancer and beyond. They are open to anyone so you can also go along with friends or family. Being active has a significant impact on wellbeing when living with cancer. It can prevent and manage some effects of treatment. It helps you take back some control of your life. Health Walks are free. All other sessions have a charge. Contact the instructor who will advise you. For information on all Somerset Health Walks visit Zing Somerset. Click on the pages below to find out what is going on in your area.